We couldn’t do it without you! 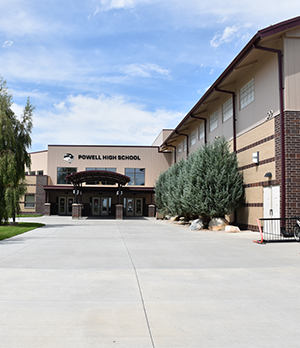 Your support of our fundraising efforts, your charitable contributions, and your willingness to volunteer on committees and in our classrooms help make Powell High School a great place for our students to grow. Thank you for being involved and helping us keep our tradition of excellence strong. The Powell Schools Foundation encourages the involvement and financial support of alumni, friends, faculty, and staff at Powell High School. Through private gifts, the foundation can enhance school programs and provide meaningful support for future projects as they arise. We accept and appreciate gifts year-round. Learn more on our district website. If your child is already attending Powell High School, you are already a member of a great community. No matter your situation—full-time employment, part-time employment, busy stay-at-home parent, or grandparent—we need you! Please take a moment to chat with your child’s teacher or coach about volunteer needs and opportunities this year. Support our students at their next athletic or scholarship event. Join us at our next Board meeting and let your voice be heard. Created by our students, yearbooks are a great way to commemorate everything that happened during your child’s school year. Buy one today!